What is the Next Big Thing in Marketing? It’s important for all marketers to stay on their toes and adapt to the ever-changing marketing climate. At the very least, it’s critical for their survival against rivaling companies; if they aren’t adopting the newest practices, they can easily fall behind. At the very best, marketers can spot a new way to gain an edge over competitors. So, what is the next big thing in marketing? We explore some possible theories. Alexa, Google Voice, Siri – voice search is becoming widely adopted, and quickly. Consider that the trend is one of the most quickly adopted trends in history. 40% of US adults are using voice search at least once per day, and 60% of those have only started using the technology within the past year. This means that a lot of searches will become screenless. In fact, within the next 2-3 years, it’s expected that 30% of searches will be screenless – no more scrolling through pages of Google results. Further, half of all web searches will be voice searches by 2020, so right now you’re hearing all about mobile; soon the emphasis will be on voice. The demographics on this one are very interesting as well. Unlike other tech trends, it’s not solely driven by younger millennials, but rather older generations (40+ years old). The reason for this is the ease of use – they avoid small screens and tiny keypads. Voice search will make search more conversational than efficient, so expect to see a shift in search terms in the coming years. Experiential marketing may be costly, but it’s worth it. Essentially, a brand creates an immersive brand experience for its customers. The goal is to form some sort of emotional connection between the customer and the brand. Refinery29, for example, has hosted an event annually for 3 years called 29Rooms. It’s described as “an interactive funhouse of style, culture and technology.” The rooms are designed by artists, designers, or consumer-facing companies. Attendees likely will not forget their experience with that brand anytime soon. You can create an experience for your customers to enjoy as well. It doesn’t need to be as involved as that branding event; simply come up with a creative idea relevant to your brand. This tactic involves a little more work than some others, but it can create a strong relationship with your customers for years to come. Also, it’s increasingly important as customers become more and more immune to traditional and even digital advertising. Forget mass marketing, focus on a more targeted approach, really targeted: one-to-one marketing. What better way to make a consumer feel like you understand them than creating content for their individual needs? With all the data gathered from a number of sources, it’s easier than ever to really know who your customer is and what their needs are. Be the solution to their needs and market your message accordingly. The personal touch will make them feel more heard than ever. Artificial intelligence (AI) has been thrown around a lot, but it’s not without reason. AI will likely have a major impact on a number of industries, including marketing. There are a multitude of ways it may affect how you do business. For example, it’ll help you optimize the timing, copy, colors, etc. of your ads, getting you more bang for your buck. Another example may be that the technology will pull data from multiple sources and use it to create marketing reports to be used for decision-making. AI can also make your chatbot smarter and more helpful. Augmented reality (AR) is also frequently discussed. With the AR market expected to reach $117.4 billion by 2022, it may be a good idea to consider how you can best use it for your business. Help customers experience products in e-commerce settings. Offer virtual tours in brick-and-mortar stores. This will enhance a product’s description. Create 3-D advertisements to stand out. You can even go the extra mile with some creative storytelling to create a truly immersive experience. Offer branded filters and animations on platforms like Instagram and Snapchat. Influencers are proving to be a very effective tool. With ad blockers in place on multiple devices, it’s important to get creative when trying to reach out to potential customers. Influencers provide a type of native form of marketing, fitting into users’ personal feeds neatly by a person they trust. The consumer trust of said influencer is what makes this form of marketing so powerful – you’re piggybacking off their hard-earned trust. It makes your brand more approachable and credible. It’s very important to find an influencer with not only a reasonable follower count, but one that is highly relevant to your brand. For example, a celebrity may have a massive audience, but if the brand is entirely different from the influencer’s audience, end results will be minimal. With more ways to share your message than ever, it’s incredibly important to establish a cohesive experience across platforms. From social to your website, traditional to email, there are a number of ways to communicate. Make sure your brand voice remains consistent across the multitude of channels. Further, if you’re working on a campaign, express it on all channels; you can mix up how you tell the story based on the platform, but keep the core message the same. Further, make it easy to jump from one channel to another. For example, make it easy to access the website from social media and vice-versa. The entire experience should be seamless. Advertising is everywhere – it has creeped into most parts of people’s lives, almost in a way that can feel intrusive. Simplifying your message and even your product selection may actually work to your advantage; you don’t need to be everywhere all the time. Start with simplifying your product/service selection. Instead of offering an extensive list, keep it to 2-5 options. 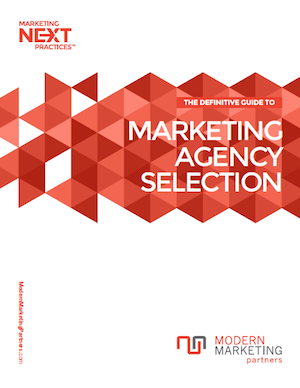 This way, buyers don’t experience choice paralysis and second-guess their decision. A study found that 30% of shoppers purchased from a brand selling jam when there were 6 flavors. Meanwhile, shoppers with 24 varieties only purchased 3% of the time. Make the decision for the consumers, and you sell more. Looking to your marketing strategy, there are a number of reasons to keep it simple. For one, depending on your resources, your time may be limited, and you may have more to focus on than marketing. Keeping it simple allows you to have more time for other things. Further, similar to reducing product clutter, you can reduce some marketing clutter. You know what works really well and what doesn’t. Focus on what’s effective and don’t let the ineffective tools bog down your time and energy; that time can be used to improved what does work. This one may seem a little unexpected. The importance of design seems obvious and you likely have staff dedicated to this specific function. It’s also not exactly new, so why is it included in this list? Well, as marketing becomes increasingly automated and decisions are more often made based on big data than instinct, design may end up being your one differentiator. Think about it – if everyone is making decisions based on data, data that’s influenced by current trends, a lot of their decisions will likely be similar. Design provides a certain human touch and some individuality; it can make your marketing stand out in ways that other tactics can’t achieve. Also, considering visual content is more memorable and effective – you remember 65% of information 3 days after hearing it when paired with an image, compared to 10% without – it only makes sense that this is vital to your efforts. Which Trend is Most Important? Which of the above trends do you think is most important? Is there one missing from our list? How do you think marketing will change in the next few years? Let us know in the comments below.